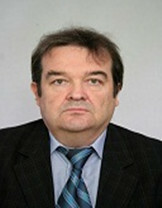 Prof. Dr. Dimiter Georgiev Velev was born in 1958 in Vidin, Bulgaria. He holds a M.Sc. degree in Electro-engineering from the Technical University of Sofia, Bulgaria (1984) and a Ph.D. degree in Engineering Sciences (Computer Systems, Complexes, Systems and Networks) from the Institute of Simulation Problems in Power Engineering at the National Academy of Sciences of Ukraine (1994). Prof. Dr. Dimiter G. Velev is with the Department of Information and Communication Technology at the University of National and World Economy, Sofia, Bulgaria since 1996. He is the Bulgarian representative in the TC5 Technical Committee (Application of Information Technology) of the International Federation for Information Processing (IFIP). He is an IEDRC fellow and a member of other professional organizations. Prof. Dr. Dimiter G. Velev’s main R&D interests include Internet business applications, cloud computing, online social networking, mobile applications and mobile learning, information systems for management of natural disasters. Prof. Velev teaches Internet technologies, Web programming languages, service-oriented architectures, informatics. Prof. Dr. Dimiter G. Velev is an established chair and a keynote speaker in conferences in China, UAE, Malaysia, Thailand, Sri Lanka, etc. He also is a regular program committee member and reviewer in many conferences in Europe and Asia.